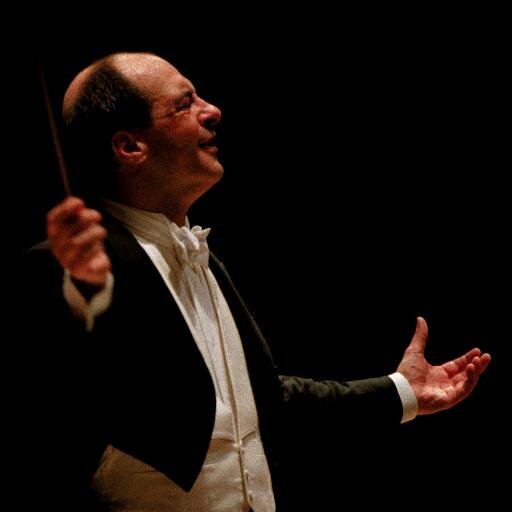 Described by the New York Times as having ​“that great skill in a conductor of making every performance radiate joy” Robert Spano is currently in his 18th season as Music Director of the Atlanta Symphony Orchestra. Highlights of the 2018 – 19 season in Atlanta include the season opening with Kirill Gerstein, playing Rachmaninov’s Piano Concerto No. 2, as well as further engagements with celebrated soloists such as Johannes Moser, David Finkel and Jeremy Denk. The orchestra will also collaborate with GLO, an Atlanta-based dance group, who will perform on stage to Ravel’s Mother Goose Suite. The season’s finale will be celebrated with Beethoven’s Fidelio, featuring the ASO Chorus and Christine Goerke. This seasons’s guest conducting engagements reflect Spano’s widespread regard as a valued collaborator, starting with his debut at the Metropolitan Opera, where he will conduct the US-premiere of Marnie by Nico Muhly, commissioned by the Met and co-produced with English National Opera. Other US engagaments include San Diego Symphony and Nashville Symphony. He will perform with the Royal Liverpool Philharmonic Orchestra and soprano Elizabeth Atherton, as well as with the Hangzhou Philharmonic Orchestra as part of their Mahler cycle, in a programme featuring bass-baritone Shenyang. Last season Spano performed with orchestras including the Orquesta Sinfónica de Galicia, Pittsburgh Symphony Orchestra, Orchestra of St Luke’s, Orchestre National de France as well as Singapore Symphony Orchestra and Sydney Symphony Orchestra. In addition to the Met this season, Spano has conducted at the Royal Opera House Covent Garden, Welsh National Opera, Lyric Opera of Chicago, and Ring cycles at Seattle Opera. Most recently he conducted Nixon in China at Houston Opera and in January 2017 he led Christopher Theofanidis Creation/​Creator at the Kennedy Center’s Shift Festival, and conducted and recorded L’Orfeo with the Atlanta Symphony Orchestra and Chamber Chorus. Alongside his post in Atlanta he is also Music Director of the Aspen Music Festival and School where he oversees the programming of more than 300 events and educational programmes, including the Aspen Conducting Academy. He also recently toured with the Curtis Chamber Orchestra and works with the Colburn School in Los Angeles and the New World Symphony, Miami. He is on the faculty of Oberlin Conservatory and has received honorary doctorates from Bowling Green State University, the Curtis Institute of Music, Emory University, and Oberlin. Hugely committed to contemporary music throughout his conducting career, recently Spano has returned to his early love of composing. His most recent works include Sonata: Four Elements for piano, premiered at the Aspen Music Festival, as well as a new song cycle. Both were recorded and released on the Atlanta Symphony Orchestra’s ASO Media label April 2017. With a discography of critically-acclaimed recordings for Deutsche Grammophon, Telarc and ASO Media recorded over nine years, Spano has garnered six Grammy Awards with the Atlanta Symphony Orchestra.